The best businesses have 'sustainable competitive advantages'. Here we explain three of the most lucrative moats and which stocks possess them. Warren Buffett has said ‘In business, I look for economic castles protected by unbreachable moats'. In analyst-speak, the world's most successful investor is referring to something known as a ‘sustainable competitive advantage' – a quality of the business that protects it from competition. As far as moats go, they don't get more crocodile filled than at Cochlear (ASX: COH). Once a Cochlear implant is surgically embedded into a patient's head, it remains there for decades – up to 70 years in fact. Cochlear's customers are then locked into a perpetual ‘upgrade cycle' of replacing the external sound processor. This type of sustainable competitive advantage is known as ‘customer captivity' due to the high cost of switching brands. It gives Cochlear an edge over competitors because once a customer signs up, they're locked in and – as far as pricing goes – play to Cochlear's tune. Cochlear earns a higher margin on selling processors because customers have little negotiating power over prices once the implant is in their head. Cochlear's overall profit margin is a juicy 18%. Captive customers provide a company many other benefits, such as more stable revenues and pricing power to defend against inflation. Besides Cochlear, several other companies share this competitive advantage, including billing software makers Hansen Technologies (ASX: HSN) and Gentrack (ASX: GTK) and the big four banks, including Commonwealth Bank (ASX: CBA) and Westpac (ASX: WBC). If you're like most people, you're probably still with the bank you opened your first account with as a teenager. Plenty of companies would love captive customers, but it's actually quite a rare competitive advantage, at least in the long term. A more common one is known as ‘economies of scale'. Let's use blood products company CSL (ASX: CSL) as an example. A large proportion of CSL's costs are fixed, including blood collection centre infrastructure and manufacturing plants, as well as the upfront cost of research. This means that as volumes increase, the fixed cost can be spread across a higher number of sales. In other words, as sales grow, the average cost per ‘unit' goes down, giving CSL significant operating leverage. CSL's margins have improved significantly over the past 20 years, and – being the largest in the industry – it now has higher operating margins than almost all its competitors. With this as a backdrop, CSL can be more competitive on price when it comes to selling its products because, with a lower average cost per unit, CSL can remain profitable at a price point that would leave other competitors losing money. The company can also justify a larger research budget. Economies of scale often lead to a snowball effect: if one company gets ahead in an industry, economies of scale mean it can then invest more in innovation and sell its products more cheaply, which attracts more customers – strengthening its advantage further. Economies of scale are most easily spotted when you notice a few companies dominating an industry and they have lots of fixed costs, such as factories, machinery, property or large compliance requirements. Healthcare is a particularly fertile field for this sort of competitive advantage, including pathology provider Sonic Healthcare (ASX: SHL) and hospital operator Ramsay Health Care (ASX: RHC). 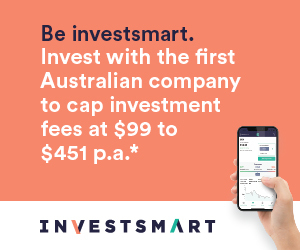 The big banks again feature under this category of moat, as does glove maker Ansell (ASX: ANN) and mining heavyweights BHP Billiton (ASX: BHP) and Rio Tinto (ASX: RIO). Economies of scale also benefit Sydney Airport (ASX: SYD) and Transurban (ASX: TCL), whose costs are arguably even more fixed than CSL's. But the true source of these two stocks' competitive advantage is in their property leases. Sydney Airport is the main gateway to Australia. It has a monopoly in the country's largest city, which faces little disruption even from the second airport to be built 50km west at Badgerys Creek. Transurban has a near monopoly over toll roads in the eastern states. These high-quality infrastructure assets have significant pricing power, inflation protected revenues, and they are largely immune from economic swings. Their prime real estate is essentially irreplicable – no one is going to find 820 hectares of free land 8km from the Sydney CBD, so it's a sure bet the airport will still be the most convenient way to fly into Sydney 100 years from now. However, there is a catch. Sydney Airport and Transurban don't actually own the land on which they sit, and instead lease their properties from the Government. At the end of the concession period the assets will be handed back, lock stock and barrel. Transurban's weighted average concession length is around 30 years for its roads, while Sydney Airport has another 80 years left on its concession. In some sense, Transurban and Sydney Airport's concessions mean their moats aren't truly sustainable – we know they will come to an end. Prime freehold property owners, such as Scentre (ASX: SCG) and BWP Trust (ASX: BWP), may have longer lived compeititve advantages, but they aren't nearly as unassailable and lucrative as the monopolies enjoyed by Transurban and Sydney Airport, which are almost completely insulated from competition. While long strips of bitumen are expensive to build, once the toll and flight gates open there's little left to do but watch the cash roll in. Disclosure: The author owns shares in Hansen Technologies, Gentrack, Ansell, BHP, Sydney Airport, Commonwealth Bank and Westpac.